Braylon Smart, 20, of Missouri City was intoxicated and in possession of marijuana. Driving While Intoxicated, Possession of Marijuana, Speeding, SEVEN OAKS, September 29, 2016 - At approximately 9:20 am on September 29, 2016, Trooper Donny Akers, with the Texas Highway Patrol, was patrolling on US-59 in Seven Oaks when he spotted a gray 2007 Honda Accord, driven by Braylon Smart, 20, of Missouri City south bound on 59 and speeding (and had no front license plate). Trooper Akers initiated a traffic stop and pulled Edwards over into the parking lot of the rest area on the south-bound side of 59. When Akers approached the vehicle, he could smell the scent of marijuana. Additionally, Akers observed Smart's behaviour. Smart appeared to be intoxicated. Smart's speech was slurred and he couldn't seem to speak coherently. Akers requested another unit and was soon joined by Deputy Rey "El Rey" Davalos with the Polk County Sheriff's Office. When Akers instructed Smart to step away from the vehicle, Smart decided to get mouthy and contrary with Akers, and refused to comply with Akers' lawful order. At that point Akers decided to detain Smart in order to conduct a vehicle search. Smart, once again, refused to cooperate and tried to resist being hand cuffed by Akers. Akers and Davalos forced Smart to comply and managed to put cuffs on Smart. Smart was then loaded into a patrol vehicle. The vehicle passenger, Quentin Hawkins, 19, of Missouri City was decidedly more cooperative. Akers instructed Hawkins to stand under a nearby tree, Hawkins complied. By now, Corporal Ramey Bass (also with the Highway Patrol) arrived to assist. When the troopers and Davalos began searching the vehicle they found several small baggies of marijuana in the vehicle. Hawkins was then cuffed and placed into a patrol unit. After more searching, more small baggies of marijuana were found in a small back pack in the trunk of the car for a total of 16 baggies. Additionally, a large bottle of vodka was located. Both men were transported to Polk County Jail. Braylon Smart was charged with driving while intoxicated, possession of marijuana, minor in possession of alcohol, open container. 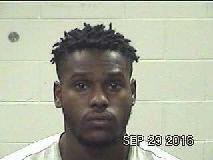 Quentin Hawkins was charged with possession of marijuana (16 baggies), minor in possession of alcohol, open container. Smart's vehicle was recovered by Ken's Towing and will be stored Harrison Body Shop in Livingston. During book in procedures at the Polk County Jail, Quentin Hawkins was found to be in possession of four more baggies (now a total of 20 baggies) of marijuana (found in Hawkins' underwear). Hawkins is now facing the additional charge of prohibited substance in a correctional facility (a felony). Corporal Ramey Bass assisted in searching Braylon Smart's 2007 Honda Accord. Initially, a jar with small baggies of marijuana and other baggies of marijuana were found in Smart's vehicle. The law men then pulled a small back pack from the vehicle where they found a surplus of other small baggies of marijuana. Trooper Donny Akers looks into the bag. A total of 16 baggies of marijuana were found. Deputy Rey Davalos loaded Quentin Hawkins into a unit and transported to Polk County Jail. When Hawkins was being booked in, 4 more baggies of marijuana were found in his underwear bringing the total to 20 baggies of marijuana (Trooper Donny Akers in background). Troopers Akers and Bass put the contraband into an evidence bag (note: large bottle of vodka sitting on roof of Smart's car). Smart's vehicle was recovered by Ken's Towing.